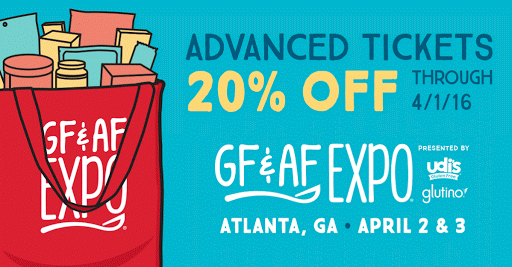 I am so excited to attend the Gluten Free and Allergen Friendly Expo in Atlanta, Georgia this weekend. 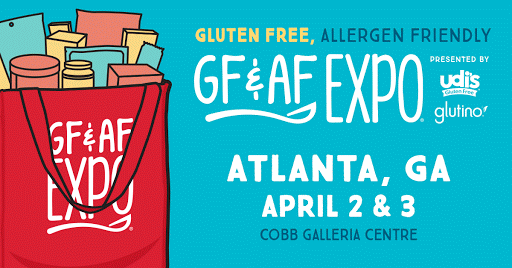 I am also excited to announce that I am also one of the official bloggers for the Gluten Free and Allergen Friendly Expo. The expo is on April 2nd and 3rd at the Cobb Galleria Centre. This will be my first time attending this expo! 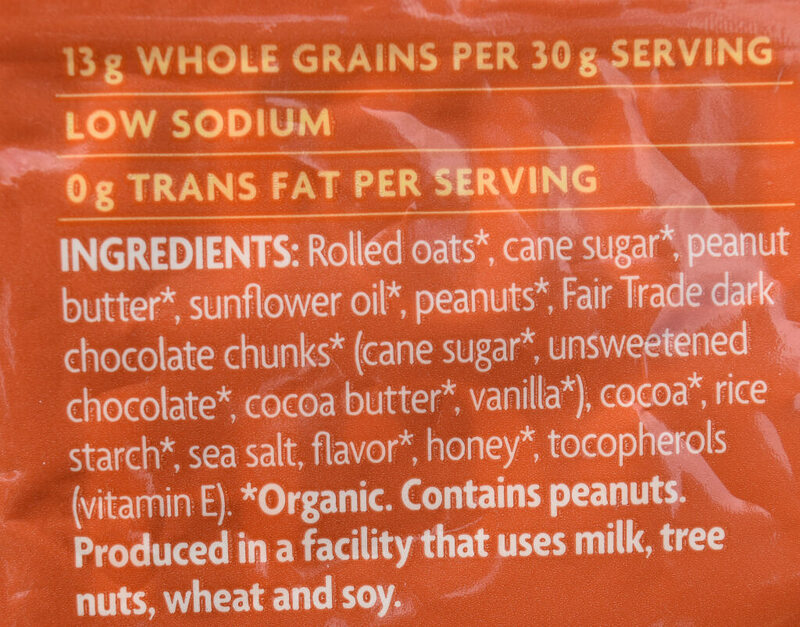 I am a huge proponent for all things gluten free and allergen friendly. This expo is open to the general public. 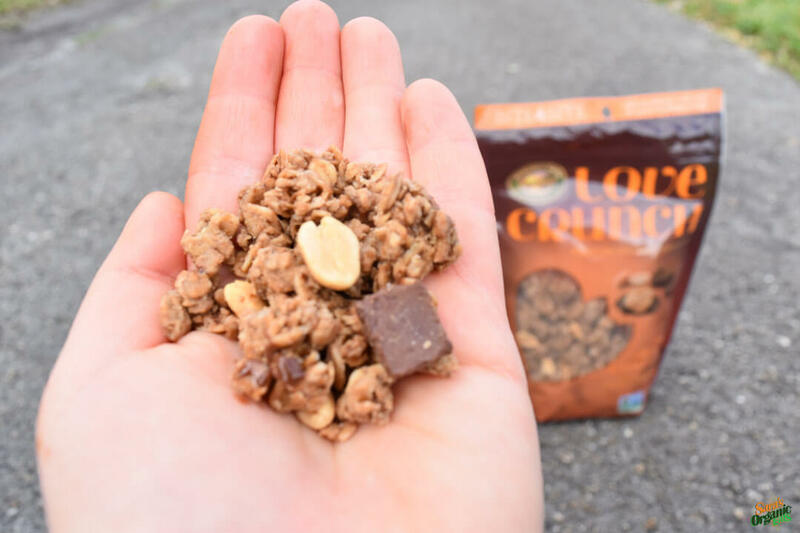 The best part is that you will get to try samples of gluten free and allergen friendly products! On top of that, you will receive coupons! There will also be many informational seminars relating to a gluten free and allergen free lifestyle. If you want to learn more about a gluten free and an allergen free lifestyle and taste awesome products then this is the expo for you. 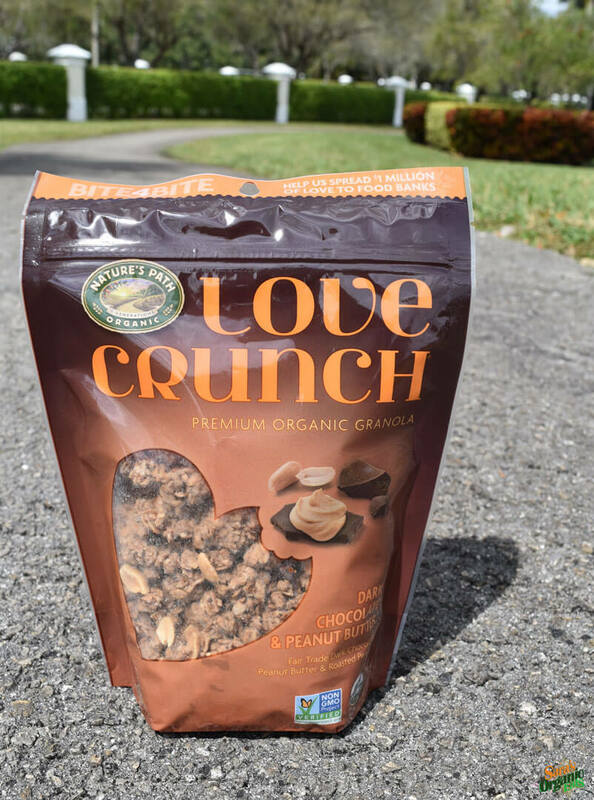 Also, you will get to meet the vendors behind your favorite gluten free and allergen friendly products. What more can you ask for? 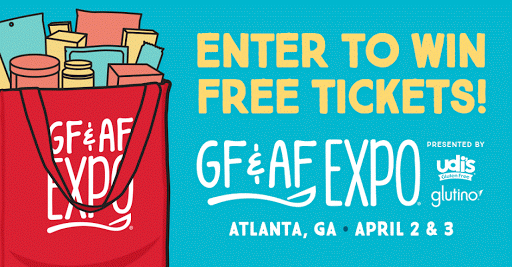 Want to win free tickets to the expo? I will be doing a giveaway on my Instagram account @sarasorganiceats , for 5 free tickets to the Gluten Free and Allergen Friendly Expo. Please go to my Instagram account for more details on how to win. A free ticket allows you to pick one of the two days to attend the expo. I am so excited for the expo and I can’t wait to see you all there! For those of you who did not get the chance to see CONSUMED’s limited release in movie theaters, the movie will be available on Digital HD and On Demand on March 22. I had the chance to see it in my local theater that was sponsored by GMO Free Florida back in December. I have never felt an impact as much as I have with any food type of movie like Consumed. Consumed is not a documentary. It is a dramatic thriller and a political movie that shows the complications and politics surrounding genetically modified organisms. It is the first film that is not a documentary to dive into the complex world of GMO’s. Consumed is about a mother who finds an unexplainable rash on her young son and searches for answers on what the illness is. She believed it was caused by the food she was feeding her son, particularly genetically modified organisms. It also intertwines with stories about an organic farmer, scientific researchers and a biotechnology corporation. The best part is that it shows you from all different angles between the farmer, the CEO of the biotechnology corporation, the researchers, and the common people on how GMOs affects us all. The movie is not one sided which is much appreciated. 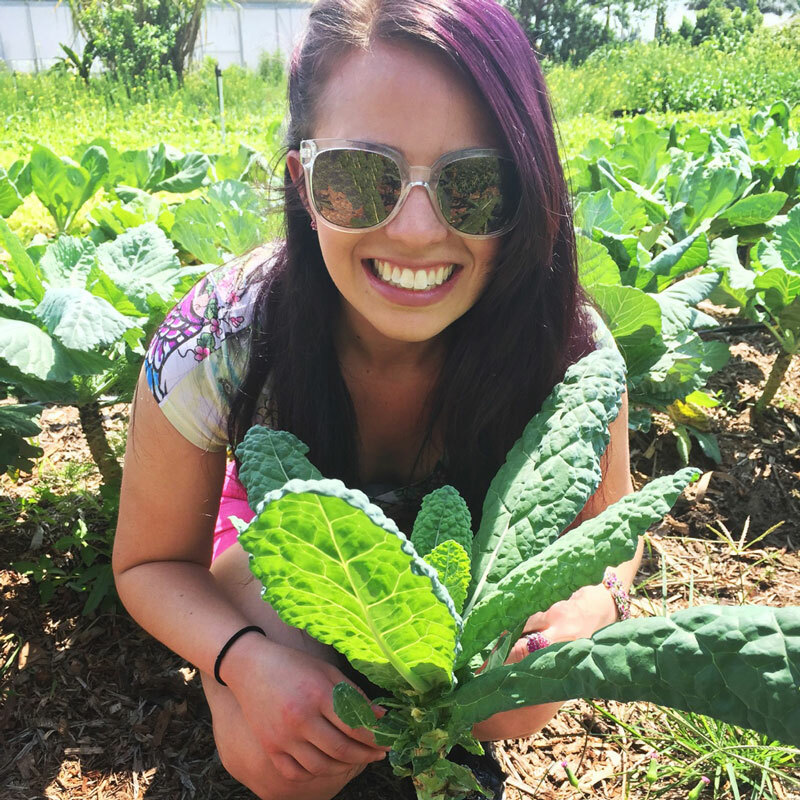 It is fascinating to take a look at the world of GMO’s from all different viewpoints. The reason Consumed is so powerful is because even though it is “just a movie” it is so relatable to what is going on currently in our country with our food system. This movie is such an eye opener and makes you want to start asking a million questions. The movie is so convincing in a way that makes you want to fight for your food rights and think about what you are eating, without the writers of the movie even pushing their views on you. That is how you know how influential this movie is. Unfortunately, many people still have no clue what a GMO is and how it is affecting us and our children. I hope this movie will shed a light to people who have no inkling or even care about what is going on. 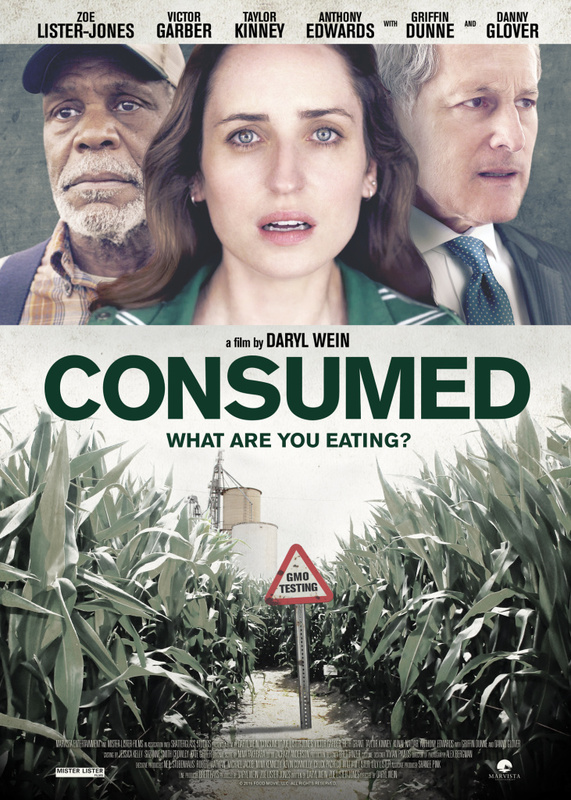 I commend the filmmakers of Consumed on their brilliant story and for bringing the topic of GMOs to life through a wider audience.The tone of the movie is a gloomy one, filled with paranoia and suspense. I left the movie theater saying, “wow, this is heavy and super intense”, but it is a movie that must be seen by everyone. Please visit the film’s website for more information: http://www.consumedthemovie.com/ . Don’t forget to mark your calendars for March 22! 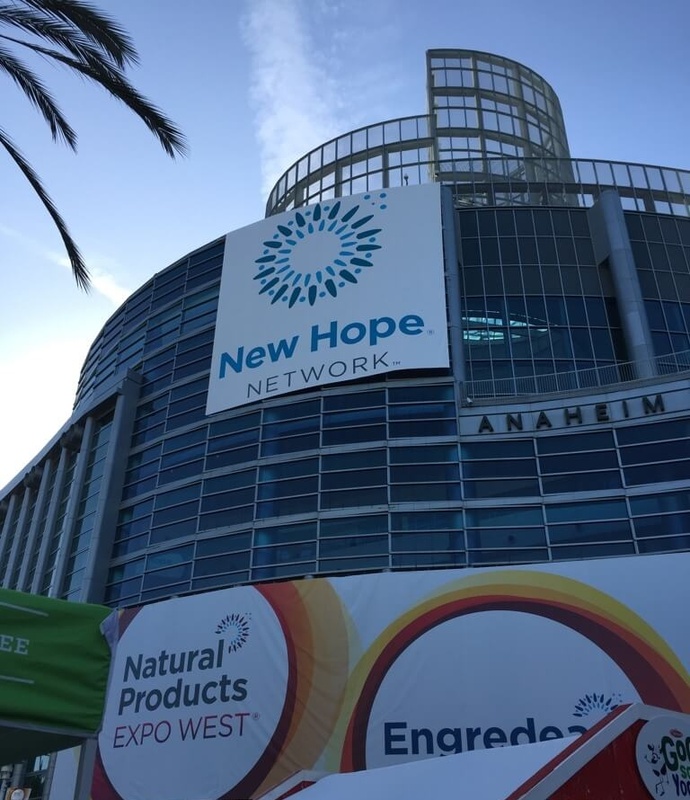 I just got back from the Natural Products Expo West that was held in Anaheim, California. 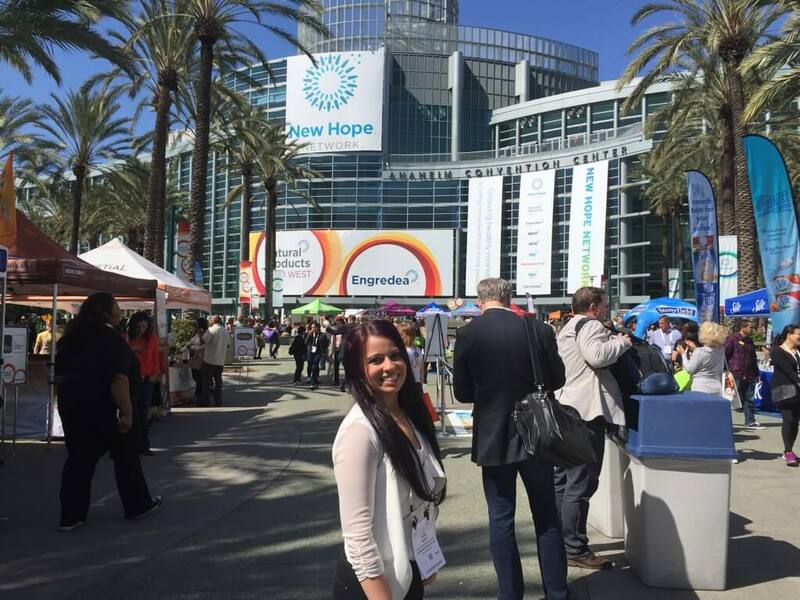 It took place last weekend at the Anaheim Convention Center. This was my third time attending the convention and I had so much fun. Even within the 3 times that I have attended, the show has grown so much. 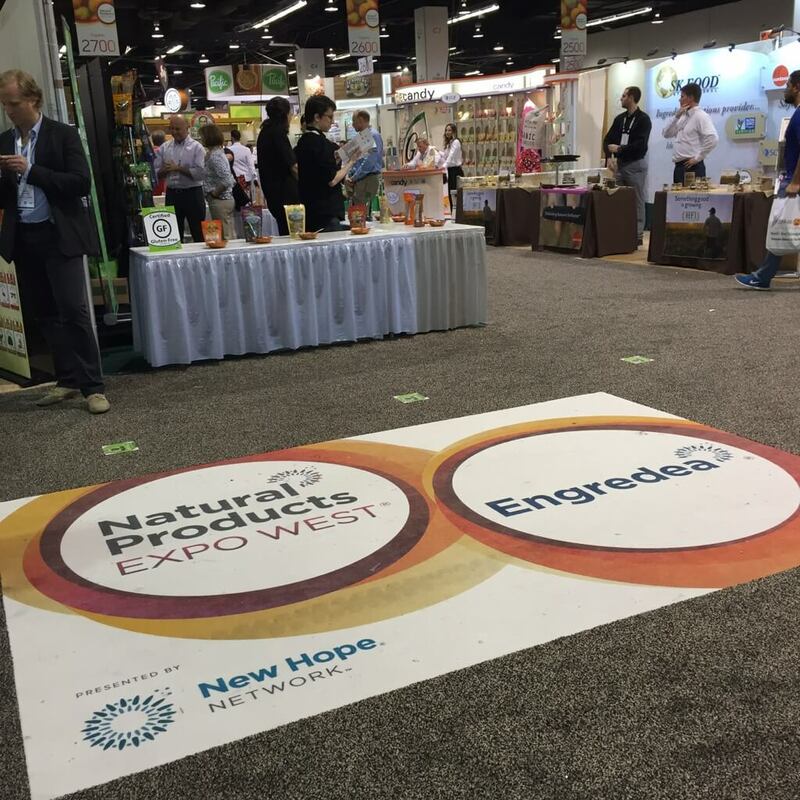 The Natural Products Expo is where companies from all sectors of the organic/natural industry demo their products for distributors, food brokers, retailers, consultants, health professionals, press members, and bloggers. 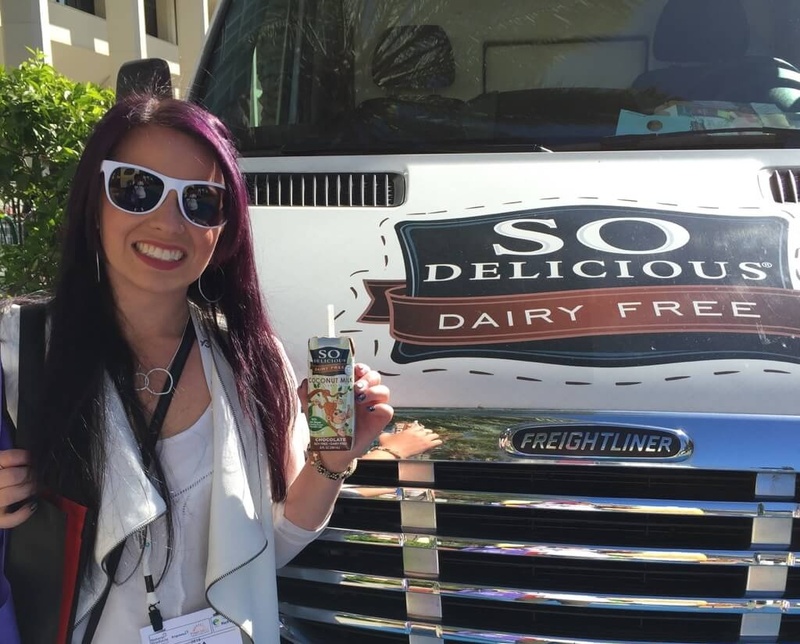 It is so great coming back each year and connecting with organic companies and keeping informed about the industry. 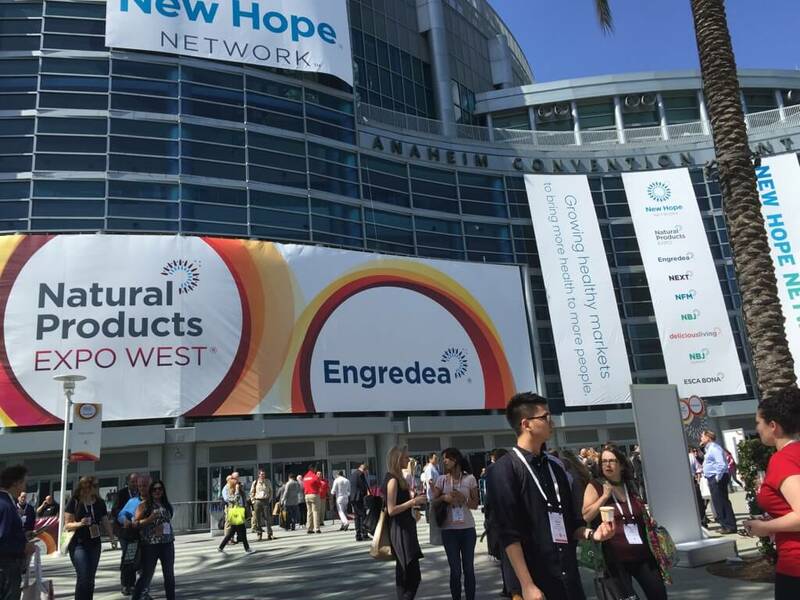 With how huge the show was, it just goes to show you how much the organic industry has grown with no signs of slowing down. The best part about attending the show is surrounding myself with like-minded people and professionals who share the same passion as I do. 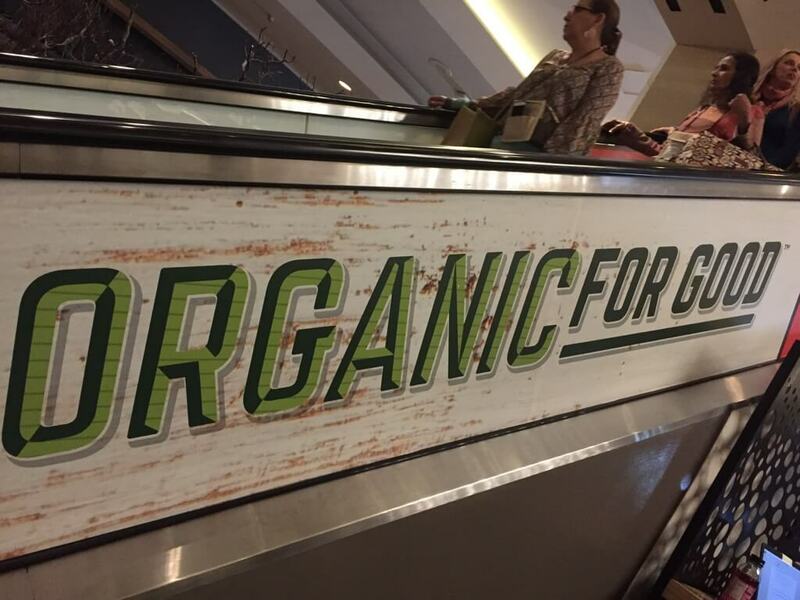 Also, getting to try all the new organic products is always a treat. Expo West never disappoints! Here are some pictures of the products and booths from the show. A video of me biking and making a Stonyfield organic smoothie at the same time. Lookout soon for new posts on new products! 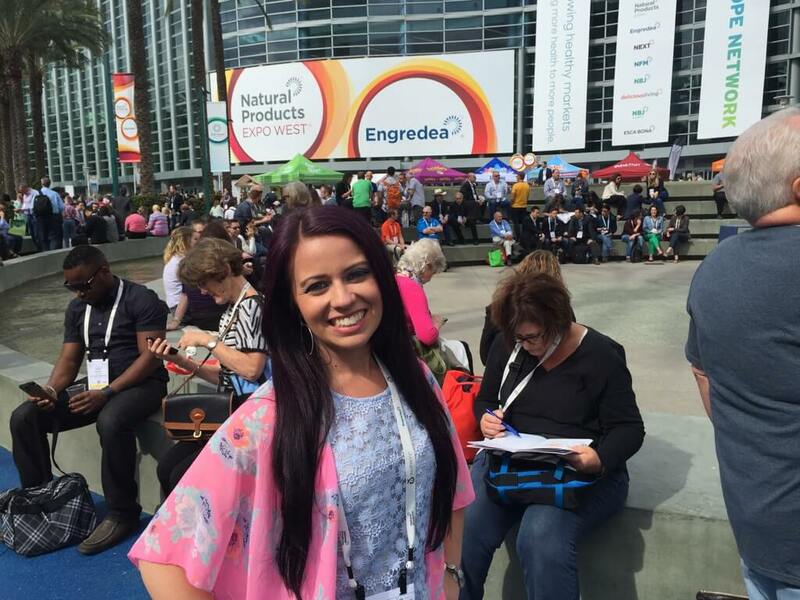 See you next year Expo West!